As the President enters his final few months in office, many are unsure of what will happen next. With the election 80 days away, now seems like a good time to analyze what tribal governments should expect as the President is on the way out and with a new Congress and new President on the way in. 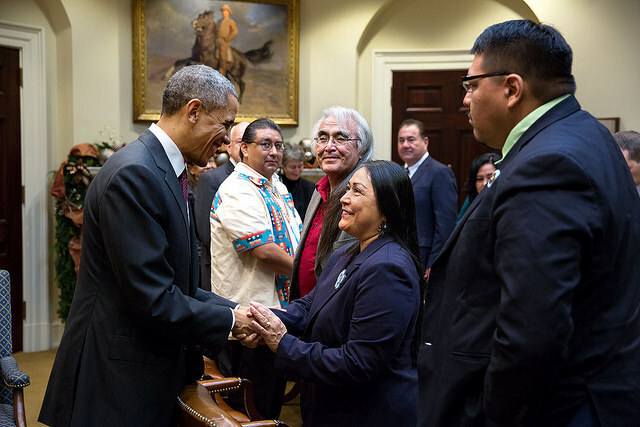 Electing and understanding our future leaders is vital to the success of tribal communities. In the two featured sessions below, presenters center discussions on what we can expect from the upcoming election and what it means for tribes. Learn about these sessions and more while attending NAFOA's 2016 Fall Finance & Tribal Economies Conference, to be held on September 19-20, 2016 in Charlotte, NC. In a few short months, the nation will elect a new Congress and a new President. Given the options in front of the American voters, what can we expect from a Hillary Clinton or Donald Trump presidency and a Mitch McConnell or Chuck Schumer led Senate? NAFOA has gathered experts for an interactive discussion on the choices in front of Indian Country. Join our esteemed guests as they fill in the blank to recount the many challenges, accomplishments, and interesting stories of Indian Country policy over the past eight years. How did Indian Country fare, and how do we take any gains and build upon them during the next Administration?